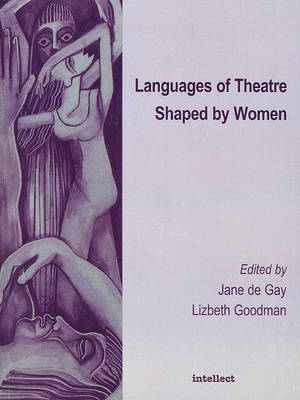 Addressing issues of feminism and representation, this volume offers a thorough consideration of the status and potential of women's theatre today. The authors explore a range of different approaches to the languages of theatre, including translation and interpretation of the art form, along with languages, performance work, body language and gesture. Considered alongside the related social issues of race, class and dialect, the following questions emerge: what is the role of language in theatre today? ; whose language is English, and what other languages do women making theatre use? ; what does it mean to write about, photograph and video live performance? ; and what is the future for women's theatre in an international context increasingly united by new technologies but divided by new issues of cultural diversity? Lizbeth Goodman and Jane de Gay's analysis seeks to cover issues that are central to courses in theatre performance and gender studies. They assess the forms which women as theatre-makers have chosen to explore in the age of new technology, and look at some of the different definitions of "theory" offered by theatre-makers and critics including Caryl Churchill, Helene Cixous, Luce Irigiray and Julia Kristeva.